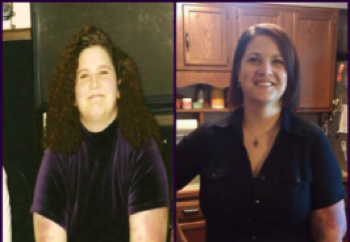 While not a slim teen, Michelle kept her weight down by playing on her school’s soccer team. But in college, she quit exercising, developed a late-night pizza and soda habit, and piled on the pounds. She tried lots of fad diets but none worked, and she weighed 185 by graduation. When it came to food, Michelle had no willpower. “Fast food and baked goods were my biggest weaknesses, so I cut both out completely,” she says. She also made smart substitutions. Instead of having pancakes and bacon for breakfast, she switched to oatmeal; for lunch she ate turkey sandwiches in lieu of greasy burgers; and she traded pastries for smoothies. At the same time, Michelle joined the same gym her parents went to. “My first day there, I could barely walk half a mile, but I just pushed myself to go a little longer and a little faster every session,” she says. 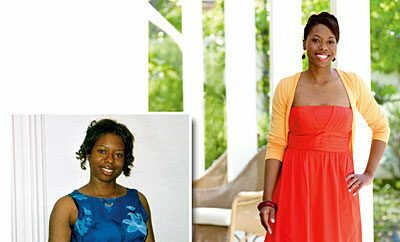 Steadily, she began losing weight, dropping about 35 pounds in six months. 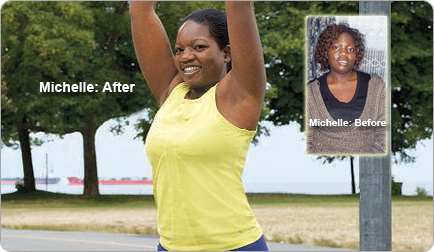 Eager to look more toned, Michelle started lifting weights, and after two months, she shed 11 more pounds. 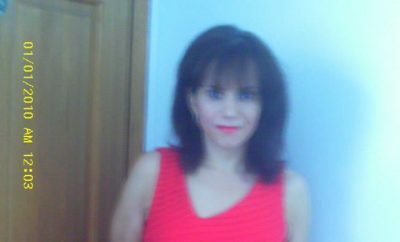 Real Weight Loss Success Stories: Lisa Lost 100 Pounds And Has No Desire To Find It Again!